Fresh inc. medispa offers clients of all ages discreet, professional therapies and services from its base in beautiful Invergowrie. Built on a reputation of quality service and unwavering standards our medispa offers clients the very best in medical skin care, body contouring and cosmetic dental hygiene treatments. This is your opportunity to gain the youthful confidence that comes from a winning smile, great skin and the body you have always wanted. Fresh inc’s team of professional practitioners are all fully qualified and meet the highest industry standards for best practice and continuous professional development. Add to this our own expectations of impeccable client care and service and you will begin to see why we are rapidly becoming Tayside’s first choice in medispa treatments. Your well-being and happiness are at the core of the Fresh inc. medispa business values and we look forward to helping you reach your health and beauty goals. I’ve been having various treatments at Freshinc for a couple of years now. Elaine & Kirsten have completed my treatments and I’m always delighted with the results. I’m always fully advised what to expect during and after the procedure. The clinic is receptionists are always lovely & welcoming the clinic has a funky, relaxed atmosphere and is very clean. Highly recommended. Just had dermaplaning with zo peel, it was amazing and my skin feels and looks great. I had my lips done there for 3rd time and I love it. The staff is really friendly and professional. The end result is always amazing. Thanks Elaine, love my lips & no more lines in between my eyes, can’t wait for my Botox appointment now. Just had the fire and ice peel by Karyss this morning and all I can say is ‘wow’!! Karyss is such a warm, friendly girl and so professional. She instantly makes me feel so relaxed. The treatment itself was so good starting with the fire treatment which is warm and tingly and in between times was given the most incredible massage. Then the ice part of the treatment is applied and that instantly cools and refreshes. My skin feels so soft, dewy and radiant. Will definitely be back! Excellent so happy with this clinic, it is by far the most professional, friendly, caring clinic I have ever had the pleasure to get my procedures done. The staff are great, they give you honest profession advice, put you so much at ease, answer all your questions. I got lip fillers, I have had this procedure in the past, but as my lips are a bit unsymmetrical I didn’t get a good result, this clinic was recommended to me by a friend, so I decided to go and have a chat about my concerns, Flo was fantastic she was so knowledge and explained everything very clearly to me. I got the treatment and the the results were so amazing, I now have the perfect pout, straight lips and the exact amount of plumpness I wanted, she spent so much time with me, told me everything I wanted to know was so friendly and professional, I felt a bit like royalty and am over the moon with the whole process from start to finish. I was also extremely happy that although obviously a top class clinic, their costs were very reasonable. I would highly recommend this clinic to anyone who has any cosmetic concerns. I promise you will be very impressed with this clinic and the fab professional staff. I had a filler and anti-wrinkle injection treatment at Fresh Inc Medispa. The clinic is beautiful and very clean, the staff were welcoming and the coffee was delish! The result from my treatment were amazing and it has given me my confidence back! I will defiantly be back to Fresh Inc and would highly recommend this clinic to everyone. Each and every treatment I have received has been extremely effective and excellent value for money. Fresh Inc provides a highly professional and friendly service and excellent knowledge and skill cannot be questioned. In my opinion, the dedication to provide a high level of care for the individual needs of patients rather than increase income speaks volumes and is unique to any other service I have experienced. Fresh Clean Clinic, very professional, made me feel very welcome. Answered all my questions and educated me on how to look after my skin. Excellent friendly professional staff, would recommend to anyone. Excellent experience from booking my initial consultation to receiving treatment and beyond. Professional, knowledgeable staff. I was pleased with the results and I felt completely safe in Fresh Inc’s hands. I would have no hesitation in recommending. 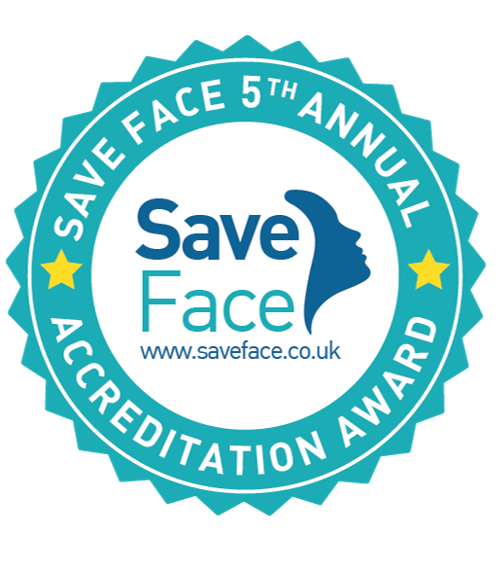 Have attended the clinic for a few different treatments -All practitioners are very knowledgeable – Customer Service is excellent – Client Care is 5star -you know your in safe hands- Very pleased with results – Prices are great – wouldn’t go anywhere else! Very impressed with Fresh inc medispa. Staff made me feel very welcome and answered every question I had about my treatment. I am amazed with the results of my treatment I received and I will defiantly be a returning customer. A delight to come to this clinic,very professional and welcoming staff. Would highly recommend.